We are an independent grassroots organisation made up of volunteers anot affiliated to any political party. 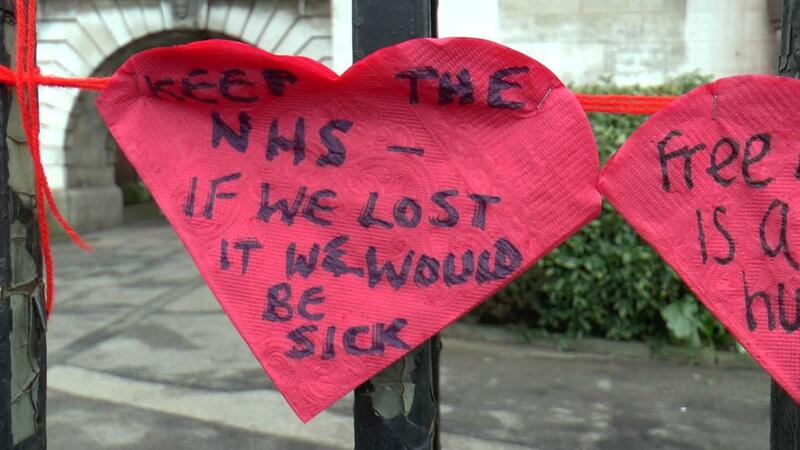 We are fighting to protect our NHS as a comprehensive healthcare service. Exciting news! We are about to launch Stage 5 - Court of Appeal this Friday 21st September! This link will go live at 7pm on Friday. We have applied for permission to appeal the High Court’s ruling dismissing our Judicial Review claim. Held in Leeds High Court on 24th April, our Judicial Review challenged the lawfulness of a way of paying for NHS services that NHS England has introduced in its new Accountable Care Organisation contract for 2017/18-2018/19. Despite recognising that Ministers had assured Parliament that the Health and Social Care Act 2012 would not lead to price competition between providers bidding for NHS contracts, the court found that even if the Accountable Care Organisation contract were to have this effect (as we argued), this is not unlawful but “is a political objection and not a matter for the court”. We could not disagree more. While we are no fans of the 2012 Health and Social Care Act - which increased private companies’ access to NHS contracts, fragmented the NHS and removed the Secretary of State’s duty to provide a universal, comprehensive health service in England - we think it is vital for the future of the NHS that the court of appeal has an opportunity to scrutinise the Judicial Review arguments and ruling, to make sure that decisions about the future of the NHS are made lawfully. The new Accountable Care Organisation Contract 2017/18 - 2018/19 introduces a form of payment called a Whole Population Annual Payment. This is basically a fixed annual sum paid to an accountable care provider to cover a population area, regardless of the number or complexity of NHS services provided. If introduced into the English NHS, this cost-cutting payment mechanism would restrict access to NHS treatments, speed up the creation of a two tier health system where people with money pay to go private while the rest make do with a limited NHS, and increase privatisation. NHS quangos are spending considerable sums of public money on the assumption that the ACO Contract is lawful, so it is in the public interest to determine the legality of the ACO Contract as soon as possible. We strongly feel this decision requires further scrutiny from the court of appeal because our judicial review is about the current Accountable Care Organisation contract 2017/18-2018/19. It is not some hypothetical future contract, where NHS Improvement could change the rules about NHS payment arrangements that NHS England is required to follow - which is what the ruling seems to assume. We are particularly concerned by the Court’s observation that “the current draft of the ACO contract may need adjusting” – while ultimately ruling that the ACO contract payment mechanism is lawful. If it is lawful, why might it need adjusting? There’s extra urgency for our application for Permission to Appeal because some Clinical Commissioning Groups are already introducing the Whole Population Annual Payment mechanism - regardless of NHS England’s statements that the ACO contract will not be used until after a public consultation. We need to raise £1600 to cover the costs of applying to the court for Permission to Appeal. This will cover court fees, admin and legal team costs. 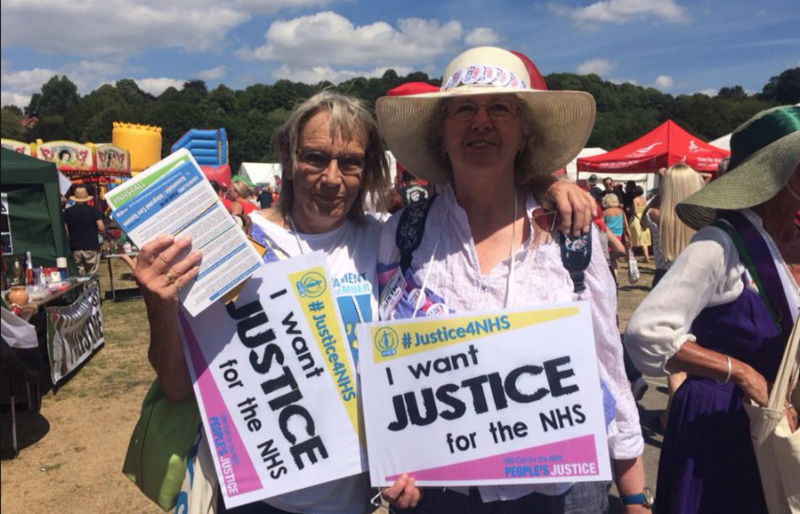 Over 1400 people have helped so far with the Judicial Review and we hope you can help us continue with the fight for our NHS. Why not share the holding page with friends, social media networks and fellow campaigners? Let them know this is seriously good news. Thanks to everyone for all the Facebook messages and emails. It means a lot. See you in the next Stage 5 - Court of Appeal! We'll be launching our next Stage 5 CrowdJustice soon! We are busy preparing ourselves for our next court battle - this time we have two days in the Court of Appeal. We know it will be sometime before Christmas. So we are launching our next CrowdJustice Stage 5 on Friday 21st September - 7pm. Thanks to everyone for all the kind messages of support. Very Good News! The Court of Appeal has issued an order granting us permission to appeal the ruling against our Judicial Review of the proposed payment mechanism in NHS England’s Accountable Care Organisation contract. We are, of course, delighted and hope that you will share our good campaign news with friends, family and colleagues - this is everyone's fight. We will be launching our Stage 5 CrowdJustice appeal soon and hope you will be able to help us raise the next target of approx. £18,000 which will cover the court fees, legal and campaign costs. Thank you for all the messages of support. We could not continue this challenge without friends and campaigners supporting us. We are still waiting to hear the outcome of our application for permission to appeal the court's decision against our Judicial Review. NHS England replied to our grounds with (not unexpected) vigour, relying heavily on the Judge's comments and refuting our claim that this matter was of huge public interest and more scrutiny was required. We would very much like to thank the annual Trades Councils conference (in June) held in Manchester, which agreed to circulate an appeal from Calderdale Trades Council to support our CrowdJustice crowdfunder.to cover the costs of our application to appeal. 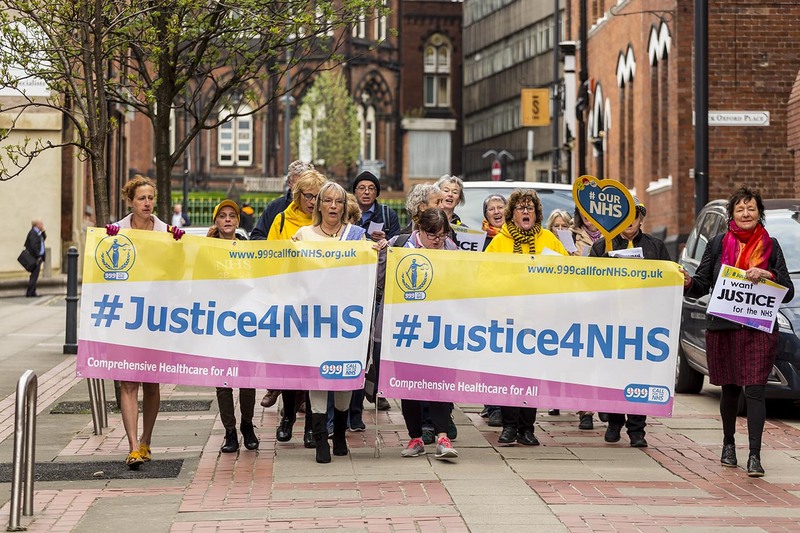 The Trades Council conference noted that NHS England’s Accountable Care Organisation undermines the core principle that the NHS is a comprehensive service for everyone who needs it. Thanks to our legal team at Leigh Day too who are keeping us informed of other matters that might impact on our case. Thanks for following our case. We'll be updating as soon as we hear anything. Huge thank you to the generous folk who donated the money we needed to cover the costs of applying to the courts. This £1600 will cover the costs of applying for permission to appeal. The best present we can give the NHS is the support it needs to remain a publicly funded, publicly provided National Health Service. Thanks also to everyone who shared and promoted this appeal online. We are not giving up this legal challenge and it means a great deal to know we have your support. If you would like to take a more active role in the campaign please visit our #NHS4ALL page too. And to find out more about us and our aims visit ABOUT US on our website.